If we are to remain leaders in the green economy, then we have to be relentless in our pursuit of clean energy. We have to constantly evaluate all aspects of our energy footprint. Find opportunities to collaborate and partner with other companies and organizations. And as one of Nike's long-held business maxims so aptly declares, never stop evolving, especially when it involves doing the right thing. UPDATE 4:30PM EST, 2 SEPT: NIKE Agrees to Change Strip Mine Ad After Protests--Victory for Coalfield Residents. See the new NIKE ad at this end of this article. So much for evolution, NIKE. Still embroiled in infamous sweatshop practices, NIKE is now running an ad with a background of a massive strip-mine or mountaintop removal operation in one of the most bizarre panders to Big Coal -- and one of the most disrespectful slights of coal miners. 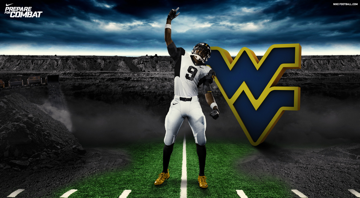 As part of their Pro Combat football uniforms, Nike's campaign is being run under the guise as a "tribute to the hardworking people of the Mountain State, as well as the fallen miners in the Upper Big Branch disaster in April." Instead of featuring underground miners, such as those who died at the Upper Big Branch disaster, Nike features an open strip mine with a dramatic voice over: "It's just the way things are done in West Virginia." 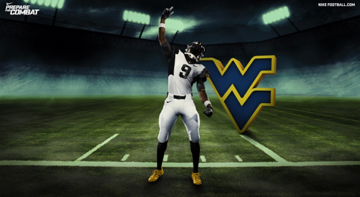 In an act of total disrespect, Nike claims the West Virginia University football players put their lives on the line every day, just like coal miners. What? More than 104,000 coal miners have died in disasters and accidents in our mines; more than 10,000 coal miners still die each decade from black lung. How many football players die? And just how are coal miners benefiting from Nike's ad? The sports company made more than $19 billion in revenue last year -- how much is Nike donating to the Upper Big Branch family fund, or to the United Mine Workers or to black lung programs? According to a recent report, West Virginia loses more than $97.5 million in expenses to support the coal industry. Before buying into this sickening pander to Big Coal, WVU should read the studies of its own professors. Last year, a WVU study found that "coal mining costs Appalachians five times more in early deaths as the industry provides to the region in jobs, taxes and other economic benefits." Instead of honoring fallen coal miners, WVU is already accepting blood money from Big Coal barons Murray and Massey -- the companies responsible for the Crandall Canyon disaster and the Upper Big Branch disaster. Meanwhile, Nike's blatant advertisement for devastating strip-mining and mountaintop removal operations, which have destroyed more than 500 mountains -- what are the WVU "Mountaineers" going to be called if they lose their mountains? -- poisoned 2,000 miles of streams, left communities in ruin and poverty, and led to the largest forced removal of American citizens in a century, is one of the most offensive images in years. Nike needs to pull the ads. More importantly, the company owes the mountaineers and coal miners more respect -- if not a contribution, as their company representative claimed last week, toward a clean energy future. 1) Where did they find their ad image from Photoshop -- this appears to be an open pit strip mine in Australia or the western states? 2) Has NIKE donated to the Upper Big Branch family fund? And will they now?